The location of this hotel is a little far from Dubai Mall, however it is conveniently located beside Mall of Emirates, which is a short 5 minutes walk away from the hotel. 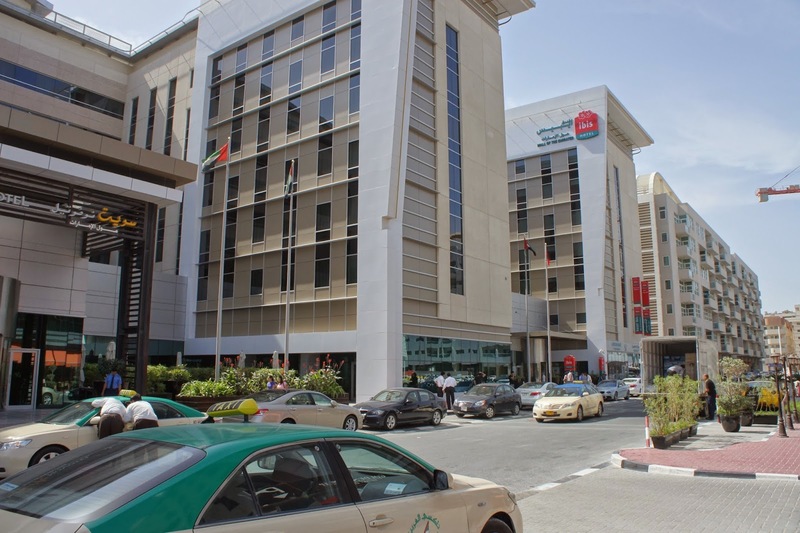 There is a subway station (about 7 mins walk), linked to the Mall of Emirates near this hotel. With this subway, getting to Dubai Mall and around Dubai is a breeze. However the local cabbies does not seem to know the location of this hotel if one were to mention Auris Boutique Hotel to them. Patrons of this hotel, however, can direct the cabby to Mall of Emirates and direct the cabby to the hotel from there. There isn’t much dinning options in the hotel compound, however being near to Mall of Emirates means one can always find food. 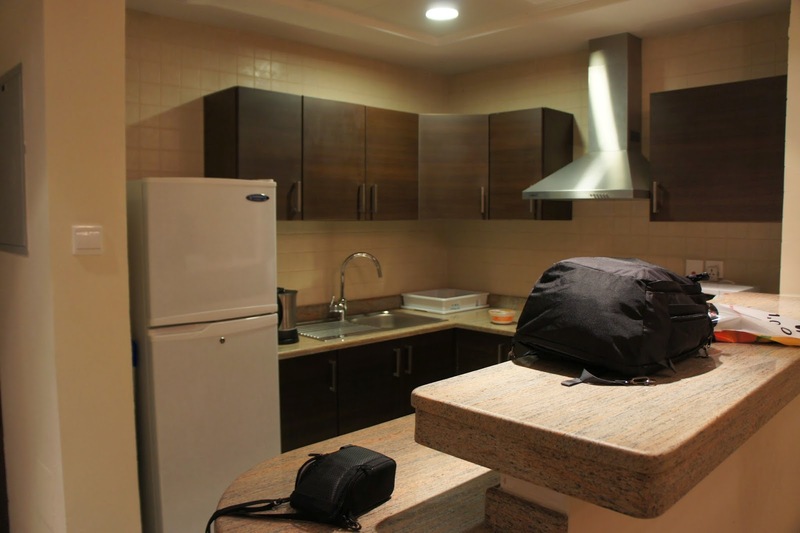 The layout of the suite can be segregated into 4 main areas – The kitchen, the living room, the bedroom and the bathroom. Upon entering the room, I was welcomed by the kitchen, which is to the left of the door. This fully functional kitchen has a stove, a full sized fridge and a bar counter. The washing machine is also located here. The full size stove allows guests to cook their own meal or get some microwave food and chuck into the microwave, which is also on the inventory list. The kitchen comes with a full set of utensils, ranging from cups and mugs to plates and cutlery, along with the pots and pans. Right after the kitchen is the living room, which features a 2 seater couch and a armchair. There is a TV in front of the couch, which is hooked up to most of the international news channels and the popular channels such as National Geographic and Discover channels. There is a small dinning table at the far end of the living room, large enough for 2 persons. The lighting in the living room gives it a warm and cozy feel and is a great place to hang out. The bedroom is rather small, but large enough for 2 single beds to be placed inside. There is a makeup table and an armchair in the room. The bedroom also features a wardrobe, which is enough for 2 persons to unpack their luggage. It also comes with an electronic safe, hidden in the wardrobe. The bathroom is relatively small in size. It felt as though the standard toilet bowl, sink and even a shower area, which is combined with the standard sized bathtub are compacted into the small area. By the entrance of the door is where one can find the marble laid sink with sufficient space on the countertop to put toiletries onto. Next to the sink is where the toilet bowl is located. Furthest into the bathroom, after the toilet bowl is the shower/bathtub. 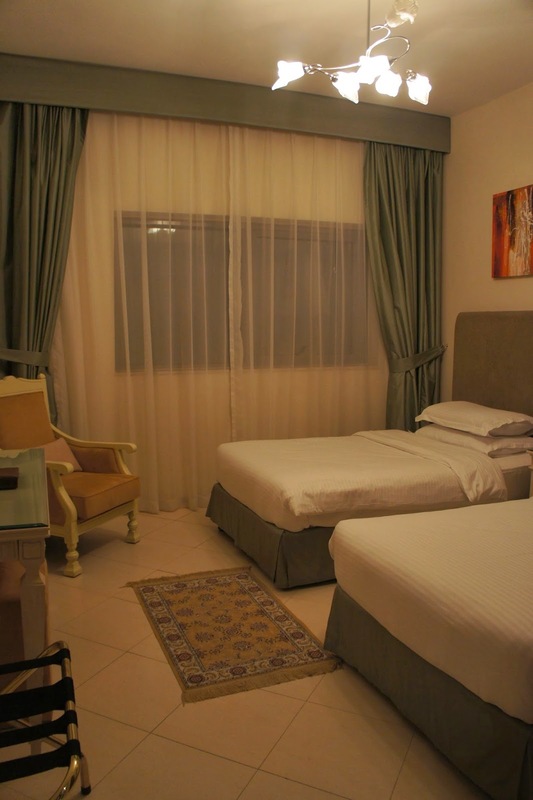 The suite is well decked out with the essentials for a comfortable stay and the sleep quality on the bed is excellent. As Dubai is a hot city, the air conditioning in the room is efficient in cooling the room in a relatively short period of time. The only thing that one can pick on this room is the lack of view. The room we were assigned is facing another building under construction. The close proximity between the 2 buildings allows me look into the building and see what the workers are doing. Despite the close proximity, the thick curtain does a great job is not only providing privacy, it is also effective in blocking out the rays emitted from the hot Arabian sun. The service at the front desk varies with who you met on duty at any particular time. Most of the staff are helpful and friendly. They are not stingy in providing services from information on Dubai to hailing a cab. I have no problems in getting greetings every time I walk past the reception. Checking in was a nightmare, as we had to wait for 3 hours to be checked in due to high occupancy and the time needed to turn the room around. We only managed to check in 1 hour after the stipulated check in timing. The staffs at the reception was apologetic and gave constant updates on the status of our room. They even suggested for us to take a stroll at the Mall of Emirates to kill time. This is the kind of service that should be emulated by a couple of the unfriendly staffs around, especially the Indian national staff in a blazer (whom gave us the impression that he is the manager or supervisor). The night before our check out, we checked with a staff to see if late check out is possible. The diligent and friendly staff did some checks and assured us that is possible and told us to just pop by at the time we agreed upon and do the check out. However I disgusted by the behaviour of the Indian national staff in a blazer. We returned to the hotel at around 3 pm local time to rest awhile before grabbing dinner at the nearby Mall of Emirates prior to our checking out. The said staff started to (literally) shout at us for overstaying past the check out time. I told him that we arranged for late check out and one of the staff offered us half day rate for checking out at 11 pm. The Indian guy rebutted that the half day check out is at 7pm. I told him to go check with the staff whom we arranged the late check out with. He then barked (literally) at one of the staff to go call the staff we spoke to, and ordered another staff to “charge the other half day to his account”. I was taken aback, where is the service by the man who seemed to be in charge here? Instead of being happy that this staff is taking care of the customer, he started to bark and vent his frustration on both the other staffs on duty and worst at the guest!! What baffles me is his penalising his staff for providing good service. It is obvious to me that this person is not suitable to be in the service industry and should be SACKED!! He has no idea what basic customer service is. 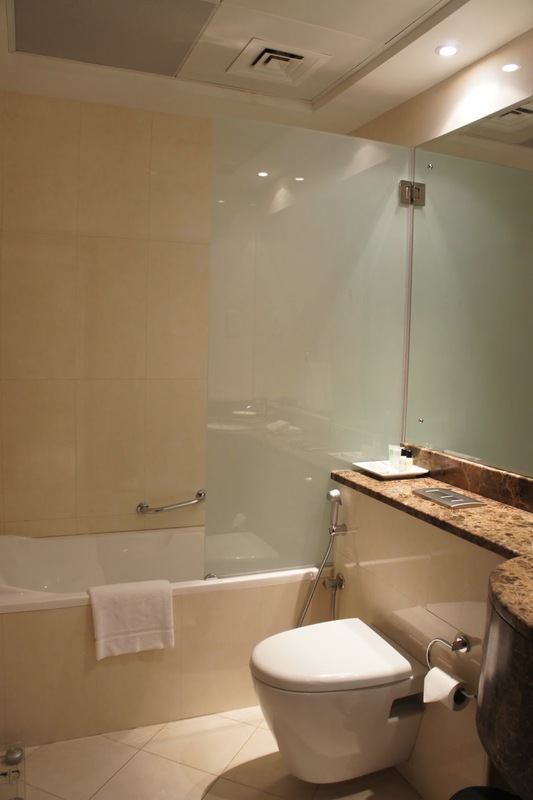 The suite is great and has the standard facilities to ensure guests of a good rest in the hotel. 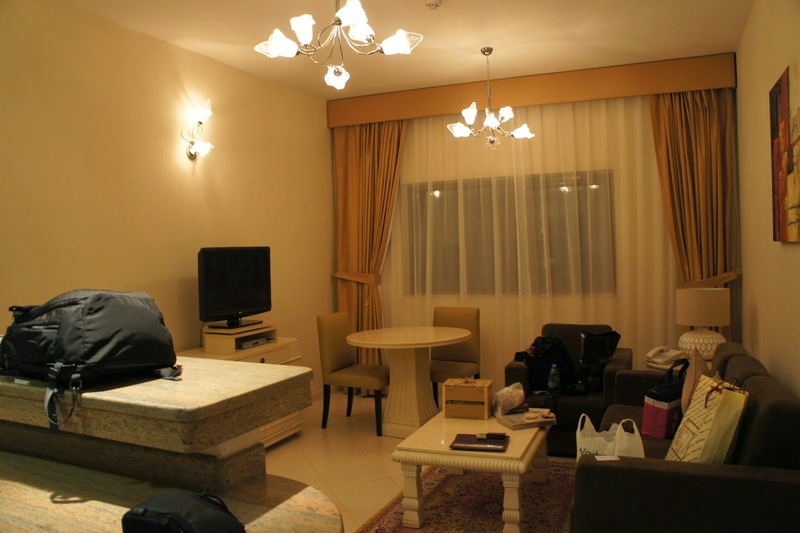 The fully self contained room is comfortable and the sound proofing in the room is excellent. 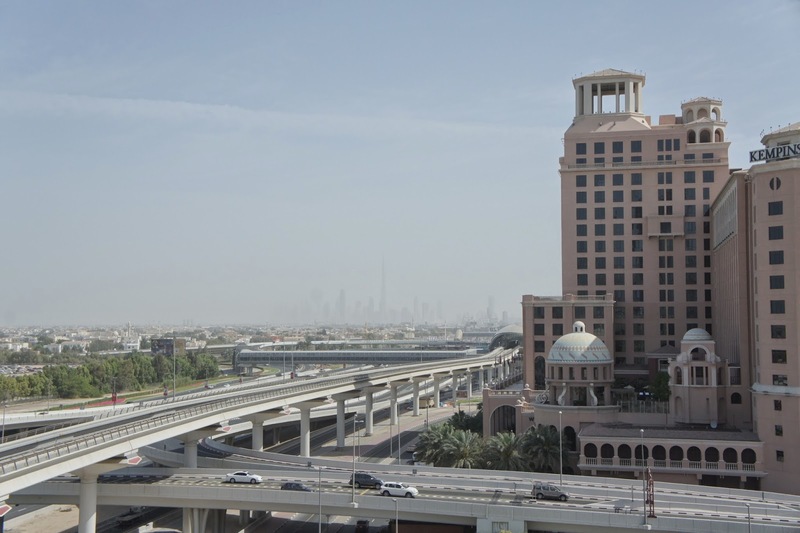 The hotel is near the Mall of Emirates, which means guests would have no problem finding food (as the hotel has limited dining options) or directions to the hotel. The service provided by the staffs are generally good, however I was particularly disgusted by the supervisor. Overall the hotel gives guests a good value for money as hotel stays can be quite expensive in Dubai and this hotel is rather reasonable in terms of value.